Nigel Farage has used his radio show to highlight how the 'Brexit boom' could lead to more people buying British than ever before. 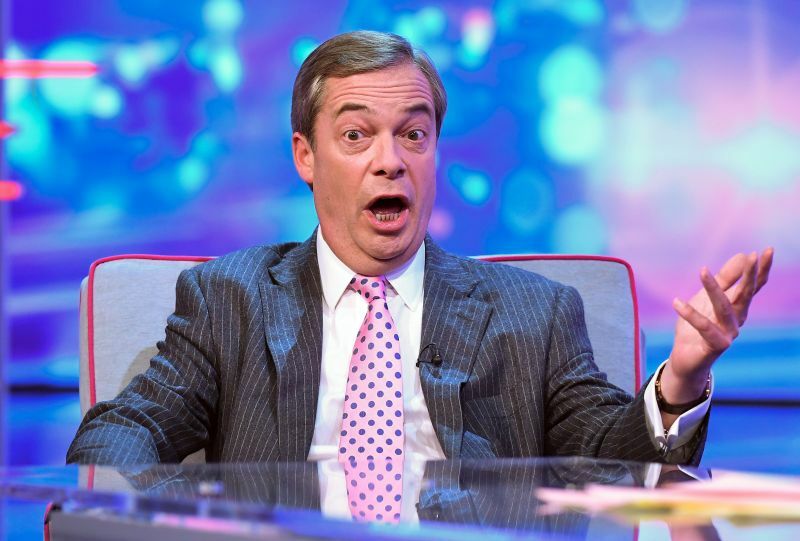 The prominent Brexiteer used his LBC show on Sunday 10 February to say how his local town in Kent has experienced a boom in British since the Referendum vote of 2016. He noted how his local brewery, once closed in the 1960s, has since re-opened, and how a nearby farm had a 'good year' in 2018 when it produced a record number of sparking wine bottles. He highlighted how his local shop has also recently started to stock honey made within miles of the premises. He went on to say the idea of buying produce locally is 'from every perspective a very good idea', in particular with regards to sustainability and reducing food miles. Farage then asked his listeners if consumers should be buying more British-made goods. Anita, from Wrexham, said the cost of British food will come down if the UK left on WTO terms, making local food more appealing to consumers. One caller urged listeners to 'buy British and support smaller family businesses'. But Joseph, from Preston, said buying British for the sake of buying British isn't an option for him as he's a 'cash-strapped student'. Indeed, the public want to buy more British food but not at an increased cost, with research showing even a slight price rise will show home-grown ditched for imported. However, he admitted that the UK has never been self-sufficient when it comes to food, but said the UK could potentially produce more. Recent statistics show the UK’s self-sufficiency has declined reigniting a focus on the need to emphasise home-grow food production. The comments follow Wetherspoons founder Tim Martin urging the British public to make 'pro-UK and non-EU' choices when it comes to buying food and drink.